Tales From Bottomley Cottage: Let It Snow! Yes, that is a really bad pun taken from the Pinocchio song, "Give a Little Whistle"... So sorry for the cheese (but not really). 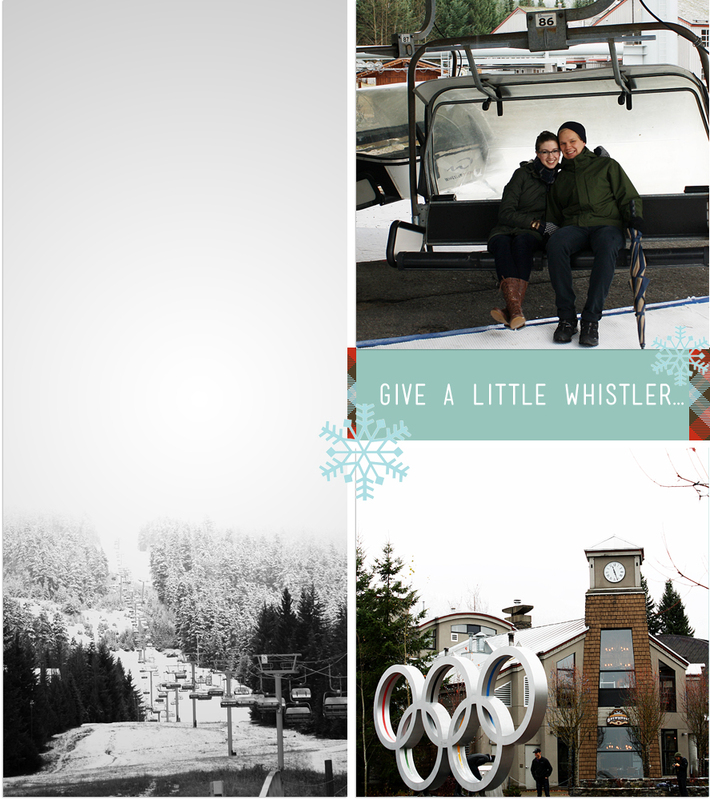 I had the chance to go up to Whistler for the first time this past weekend- it was a lovely break a way from it all. The stress at the end of the semester can really wear down on me quickly, so this was a fantastic way to relax! And I was thrilled that it actually snowed, I miss the days of the first snow on the prairies, so it was quite exciting to see it falling out my hotel window the last day we were there. Falling snow is so magical, especially on a mountain covered with fog! Looks beautiful! We'll have lots of snow for you when you'll be home for Christmas!